Being an adult is a state of mind (and Toys 'R' Us is closed forever, so it's time to grow up). 1. Let there be light! Finding a sophisticated floor lamp will not only add a gorgeous piece of decor to a room, but it'll also just make your home feel really cozy. 2. Add some wallpaper to freshen up your space and give it some dimension and texture. Check out our comprehensive guide to buying wallpaper online. Get this gray wallpaper from Graham & Brown for $60 per roll. 3. It may seem obvious, but make sure you have clean sheets and pillows. Experts suggest you wash your sheets at least once a week. 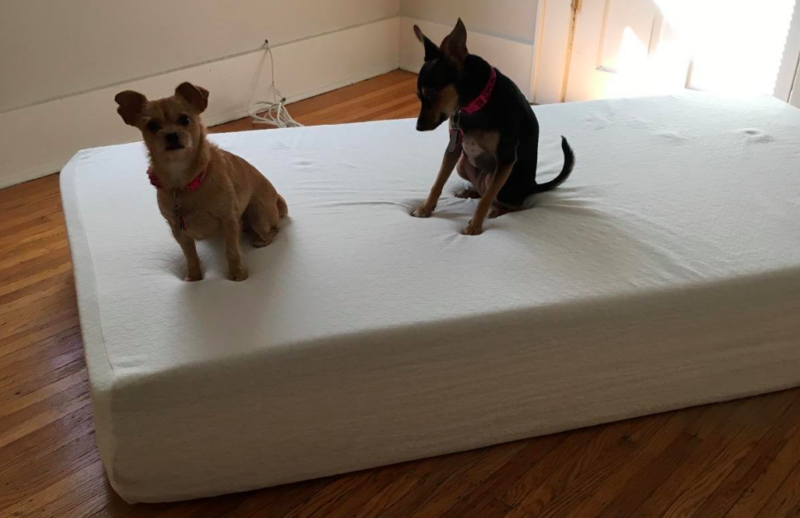 Explore a variety of sheet options here or get these from Amazon for $24.90 (available in sizes twin-California king and in 39 colors). And get detergent that's formulated to make your sheets feel fresh and new for $18.03 — or just use regular ol' detergent for $10.88 on Amazon, but please, just WASH YOUR SHEETS! 4. And on that note, invest in a comfy (and not previously owned) mattress so you can get a good night's sleep and be a functioning human in the morning. Explore a variety of mattress options in our online mattress shopping guide and best mattresses on Amazon guide, and get this Zinus Memory Foam mattress from Amazon for $93+ (available in sizes narrow twin-California king and in 6- to 12-inch thickness options). 5. Actually clean your home — including sanitizing and organizing the things that need to be, rather than just throwing all your stuff in the closet. It's not rocket science, but a clean house can do wonders in terms of making you feel like you have your life together. Try making your bed every day before you head out, vacuuming and dusting once a week (that includes dusting baseboards), washing your dishes after every meal, and investing in some organizational tools to keep everything in its place. Check out our ultimate guide to cleaning everything in your home and explore the cleaning products people actually swear by. 6. Invest in high-quality materials like brass, marble, and heavy fabrics for your decor and accent furniture. Get this brass and marble coffee table from West Elm for $699 and explore more places to shop for affordable home decor. 7. Have a complete set of matching dishes, wine glasses, and silverware. Get this dish set (with service for four) for $22.28, four wine glasses for $24.99, and 20-piece silverware set for $26.99+ on Amazon. 8. Splurge on a rug that fits perfectly in your space by following a few simple rules. Get this rug on Amazon starting at $40 (available in sizes 2'x3'-9'x12' and in 13 colors). 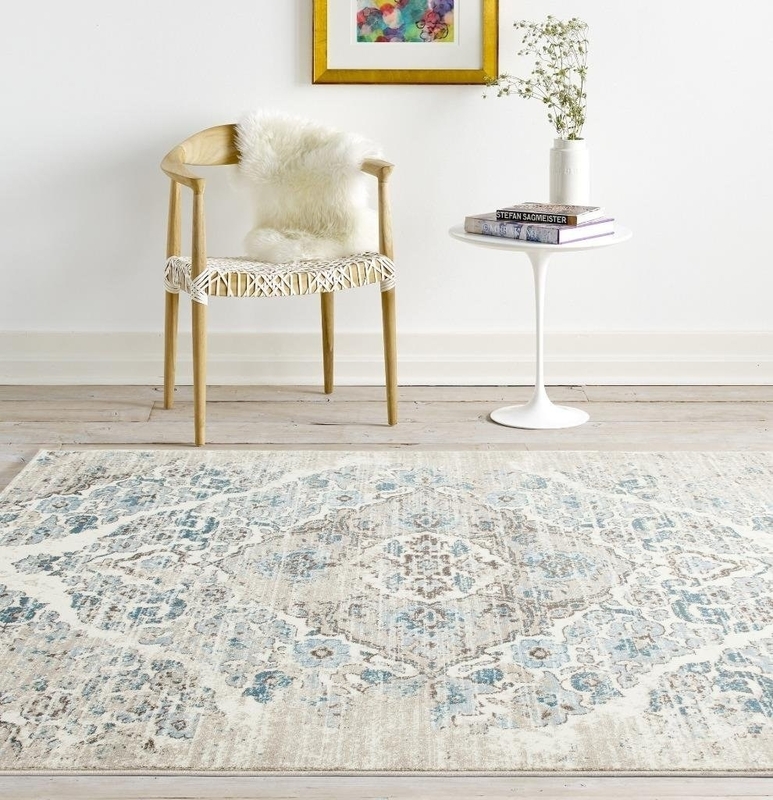 Explore more rugs on Amazon and find heavily discounted rugs from brands like Safavieh with small defects (ones that are easily fixed or hidden) on eBay. Learn more about rug placement in every room of your house from Shannon Claire Interiors and find charts to explain every home decor question you might have. 9. Hang curtains on every window to make rooms look polished and grand. Get this set from Amazon for $21.95 (available in 42"x63" and 42"x84" and in 18 colors). 10. Get an actual sofa — not a futon, not a curbside find, but a real, adult-looking sofa to complete your living room. Get this velvet chesterfield sofa from Amazon for $447.83 (available in blue and red) and explore all the best places to buy a couch online in our handy sofa store guide. 11. If you're not ready to throw down serious cash on a new sofa, splurge on some luxurious throw blankets (like the one pictured here) and pillows. Get this mulberry silk throw blanket from Amazon for $98.99 (available in four colors). 12. Invest in (or make your own!) art to bring an air of sophistication to any room. 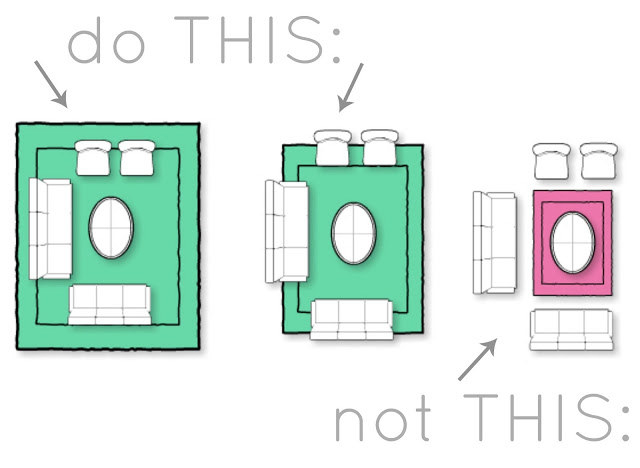 Decide where to place your artwork by following the standards of galleries and museums. They hang their works at the midline (or center), which is about 57"-60" from the floor, because the average human eye level is 57". Get this framed piece of artwork by Julia Heffernan on Society 6 for $57.99+ (available in sizes 10"x12"-20"x26"). 13. And create a gallery wall made of your favorite photos or your kid's artwork with a packaged set of frames. Get this set of seven frames from Amazon for $40.99+ (available in four colors) and check out all the best places to buy frames online. Get this stitched platform bed from Amazon for $128.54 (available in sizes twin-California king and in dark and sage grays) and check out some of the top-rated bed frames on Amazon. 15. Bring fresh flowers into a room to add a pop of color and show the world you're together enough to own a vase. Find similar flowers on Amazon for $46.99 and vase for $11.99+ (available in nine sizes). Get tips on how to arrange your own floral bouquet from Homey Oh My and check out all the best places to buy flowers online. 16. Keep your closets organized in order to make the most out of your storage space, because it's not cute to have your clothes piled on a chair anymore. Promising review: "This is a great product! It's affordable, it's strong, and it's easy to install (it hangs like a clothes hanger). It doubled the amount of space in my daughter's closet, and since I can choose how high or low to hang it, I could bring it up high enough to allow space for boxes on the floor. I'm getting two more for my own closet! It's sturdy enough to hold heavy jeans or winter jackets or anything else you want. I thought for this price it would be flimsy, but it isn't at all." —Kelli S.
Get this closet doubler from Amazon for $17.99 and check out our ultimate guide to keeping an organized closet. 17. Buy pieces of decor and furniture that double as storage so you can hide all the little things you don't need access to all the time. Get this coffee tables with drawers from Amazon for $55.99 and check out these other storage solutions. 18. Bring in unique and unexpected materials — like concrete — to give your space an elevated (and expensive) look. Get this concrete side table from West Elm for $279. 19. Keep your bookshelves and coffee tables well-organized and artfully curated. See more design inspiration on Domino, get bookshelf arrangement ideas from Real Simple, an find and coffee table ideas from Elle Decor. 20. And learn how to layer all your accessories to construct a visually appealing shelf, coffee table, or sofa. Get the full breakdown on how to decorate your book shelf from decor coach Heather Freeman of The Decor Fix, how to layout your coffee table from School of Decorating, and how to arrange your pillows from Houzz. And here is some very awesome bookshelf inspo. 21. Use mirrors to expand your space and add a sophisticated level of decor. Get this 65"x22" mirror from Amazon for $149.99. 22. Get rid of all the clutter with some awesome statement pieces that double as interesting conversation starters. Get the gluten canister for $128, gluten-free canister for $128, calories canister for $98, LSD canister for $88, and the weed canister for $28 from Jonathan Adler. 23. Or if you can't bear the idea of getting rid of all your memorable tchotchkes, curate them in shadow boxes. Get it from Amazon for $18.99+ (available in three sizes). 24. Update your light fixtures — it's an easy way to upgrade your home without breaking the bank while still making it look like you did. Get this mid-century-modern chandelier from Amazon for $93.99+ (available in four finishes). 25. Don't forget about your bathroom! Make sure your bathroom has hand towels, hand soap, a bath mat, and that it's always clean. Find a beautiful set of six hand towels on Amazon for $19.99+ (available in 13 colors), a set of glass soap dispensers for $12.50, and a set of cotton bath mats for $16.99+ (available in seven colors). Get some bathroom cleaning tips here and find more bathroom design inspiration from Homepolish. 26. And get gorgeous storage containers to organize the things you need on the regular but you shouldn't have laying around — like ones for cotton swabs, makeup wipes, extra toilet paper! Get this cotton swab organizer for $12.95, a wipes container for $17.99, and a super-functional toilet paper storage rack for $11.73 (available in chrome and bronze). 27. Learn to DIY your hand-me-down/Ikea/garage sale finds like a Pinterest star. Get the full tutorial on how to elevate (both figuratively and literally) your Ikea Karlstad sofa from Pretty Pegs, find inspiration with these cool Ikea hacks, and these DIY hacks. 28. Upgrade your gross old counters or tabletops with vinyl wrap film — a temporary solution that'll last a long time and won't cost a small fortune. 29. Don't underestimate the power of a beautiful statement chair — which is not only practical, but can also provide a stunning way to make your space pop. Get this brass accent chair from Amazon for $449.10 (available in pink, white, and blue). 30. Make your bed as plush as the ones you dream of sleeping in when you're shopping at Bed Bath and Beyond with this handy guide. Get the full tutorial from Matouk. 31. And nothing says "I'm an adult" more than keeping a houseplant alive. Get all the details on what plant might work best for you from A Pair & A Spare, explore some of the amazing varieties of plants you can bring into your home, and check out our guide to shopping for plants online. Now your house will feel like home — until, of course, you can finally move into Hogwarts.